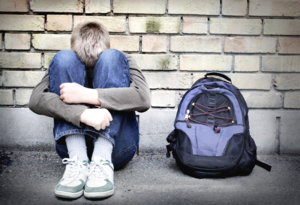 Bullying can happen to anyone at any age and is often directed at certain groups, because of race, religion, gender or sexual orientation and similar. Bullying can take a number of different forms: physical bullying, which includes hitting, kicking or taking belongings; verbal bullying, which includes name calling, insulting or making offensive remarks; indirect bullying, which involves spreading malicious gossip about someone, or excluding them from social groups; and cyber bullying, which is online bullying via social media networks or email or via mobile phone or similar. If you or someone close to you is being bullied or perhaps you are a bully yourself or know someone who is, then you can put a stop to it. The Community Programme can put you in touch with those organisations and services that can provide the advice, guidance, information and support to help you to tackle bullying. The Community Programme can also help you to locate support groups in your local area where you can meet others in similar situations and professionals able to provide the emotional and practical support that you need.